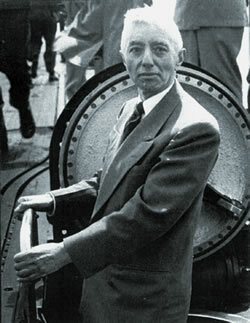 Today Admiral Hyman G. Rickover is best remembered for developing the atomic-powered submarine. With the launching of the first of these submarines, the Nautilus, in 1954, he was dubbed “The Father of the Atomic Submarine.” As Admiral Rickover’s only child, that made me "The Atomic Submarine", and you can imagine what I now had to live up to. And just when I had become used to it, several atomic-powered surface ships were built and my father became “The Father of the Nuclear Navy”—and I acquired an even more bizarre identity! 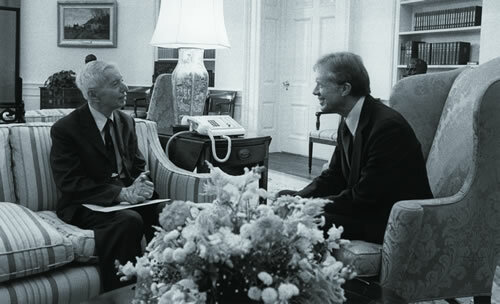 Admiral Rickover with President Jimmy Carter, 1979. Carter worked for Rickover during the early 1950s. 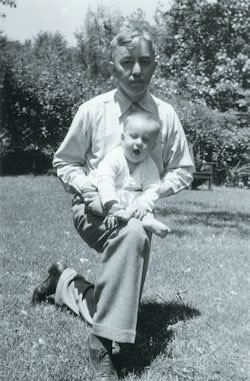 Rickover (then a naval Captain) with the Author, age 1, in 1941.